Everyone has an encoder nowadays. Final Cut Studio has shipped compressor for years. Avid ships with Sorenson Squeeze, and I typically suggest some flavor of Telestream’s Episode family line. All of these have varying degrees of quality and format support, and some go even above the call of duty with watch folders. One fatal flaw is that they all rely on someone else’s engine with which to encode through. Quicktime. Quicktime, while being the pipe which leads to all things NLE, becomes vary narrow when it comes to efficient processor usage. In fact, it’s pretty bad. Ever viewed your system processing usage while encoding? So much to be desired. 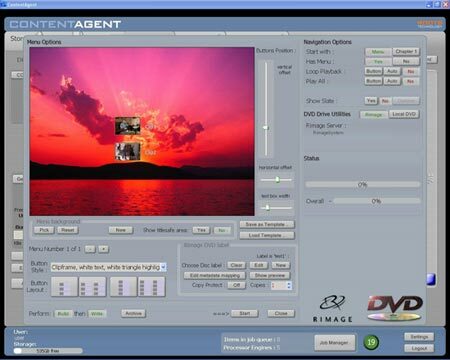 Root6 Technology, a player in the encoding and media market for over 6 years now, (BeamTV) has taken an innovative approach to this problem thus created an intelligent workflow device. ContentAgent, at its core, is a software application, which can dig its claws into several hardware components. Utilizing Root6’s solution to the Quicktime Bottleneck: their Platinum Encoder, it can regulate CPU usage during encodes. Intelligently, ContentAgent farms out processor cycles for single or multiple encodes, understanding the limitations of each codec so as to efficiently disperse the workload across available resources. ContentAgent also has the added ability to utilize GPU horsepower on a per encode process. By way of comparison, an Avid on 8 core 3.2 GHz MacPro is processing RED files around 5:1 RT. (1 minute of footage = 5 minute encode). ContentAgent is encoding that file in approximately 2:1 (DNX36). It should be noted that Avid is simply utilizing the QuickTime wavelet extraction files – not the R3D file. ContentAgent has full R3D support. This yields better quality at a faster pace. While that certainly enhances the turnaround time for encodes, it doesn’t solve the issue of baseband encodes. This is where ContentAgents hardware hooks become that much more powerful. Utilizing a Digital Rapids I/O card, either in an SD or HD Flavor – the ContentAgent now has the functionality of batch or crash capture and layback from any SD or HD deck source with RS422 control. So, now we have an encoding solution that is faster than most anything else out there AND can pull tape. What else can it do? Avid, for all its ability, has always had a proprietary media management system. Depending on whom you ask, this is a curse or a blessing. As it pertains to raw media files, it requires virtually all media (exception: AMA Volumes in v3.5) to be used in an Avid timeline to be encoded into OMF or the newer MXF format. This ties up a considerable amount of time on a billable suite. 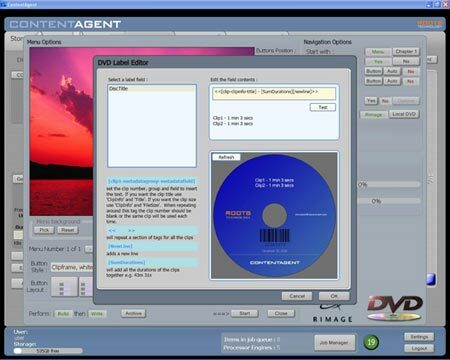 ContentAgent has the ability to encode media into OMF and MXF formats (even in the DNxHD codec) so as to bypass the “wrapping” OMF/MXF encode Avid does with non Avid Media. This means instantaneous media access in the suite. Those of us on Unity will appreciate the ability of ContentAgent to write the data to the Unity database for even faster usage. Metadata, especially when going tapeless, is almost as important as the pixels themselves. Getting the metadata inherent in the filename AND header (*cough* RED *cough*) becomes a massive chore when the file conversions are not followed precisely. ContentAgent has remedied that as well, utilizing an SQL database as the system’s backend to store and manage all data imported or encoded for referencing. This means the link between the 2 files (pre and post encode) plus all pertinent data located within those file can be referenced (or in some cases, parsed) by 3rd party applications. Oh yeah, ContentAgent has that feature, too. XML schemas; which enable custom XML files to be written, containing the data from the pre and post encoded file, ready to dish out to applications supporting it. While not the easiest to understand, the functionality is there. Those of you who have edited on higher end finishing applications (Autodesk, for one), or even some DVD authoring applications (DVD Studio pro, for one), may be familiar with the concept of node based editing. That is, each node (or “room”) contains parameters for a specific task. The results of that node can then be fed to single or multiple other nodes, where the process continues. This means intelligent, decision based workflows, easy troubleshooting and – drum roll – automation. Watch folders, FTP, file copying, status emails, copy / delete responses – all handled by developing these node based actions – called workflows. Once a workflow is devised, it can be saved and utilized by a few button pushes later. This means your Tape Operator in your Core can initialize a workflow without reinventing it. User permissions and a user interface with larger buttons create an environment designed for touch panel usage in a machine room. Support for other hardware interop include Rimage support, for automating CD and SD and Blu-Ray DVDs with disc graphic design capability – either local or over a network. Another facet of this is the ability to create basic DVD menu layouts, with slates, watermarks, and chapter breaks. While rudimentary, for dailies and simple, trackable dupes, this fits the bill. Saving you the headache of building some kluge machine is the fact that ContentAgent is built upon the same machine your PC Avid or Autodesk products are using. HP Workstation CPUs. As of this writing, the XW 8600 running Windows XP SP2 is the current config. The addition of 4 15K SAS drives allows for the system to capture uncompressed HD locally prior to encode. With the software understanding any volume the OS sees, shared storage is always an option. Facilis and Unity showed no issues. ContentAgent utilizes the ATI Fire GL card for its GPU acceleration. My tests have shown a 10-15% speed increase when this is enabled. Support. 8 hour time difference from SoCal to SoHo means some delays in troubleshooting. U.S. Support is very knowledgeable, but spread thin. Interface. Although it is designed purposely for pudgy fingers on a touch panel, it’s decidedly not Mac / not PC interface takes away some typically standard conventions on where to click next. Modular. Many of the codecs and abilities ContentAgent has are built upon a basic licensing structure. Pay to play. This means a system, after all is added up, (qualified computer and varying degrees of software licenses) can run the gamut: Between $30K-$50K. However, in all fairness, no other application – or collection thereof – can do all of this so as eloquently as ContentAgent. Update: With NAB around the corner, updates promised in 2.5 and 3.0 software include: distributed encoding (Content Central) to further utilize horsepower on multiple machines, most notably, Blade servers. Blu-Ray authoring support is also in Beta. *Obligatory Disclaimer: My opinion on the technology contained therein is independent of my affiliation with the reseller of this product. Is there any word on a software only version? What about an eval? What about transcode times to ProRes for Fnal Cut Pro? The software, by itself, can run on most any hardware, so I’m told. It’s just optimized to run on the HP XW8600. Due to this, I believe Root6 is not releasing the software standalone, however, that may change when distributed encoding becomes reality. As far as Eval, your best bet is to contact a reseller for an eval. I ahven’t seen one from Root6’s website. As for ProRes, Apple has still not released an encoder for the PC side. Decoder, yes. I suspect this will change, but for now – ProRes encoding can only be done on a Mac.